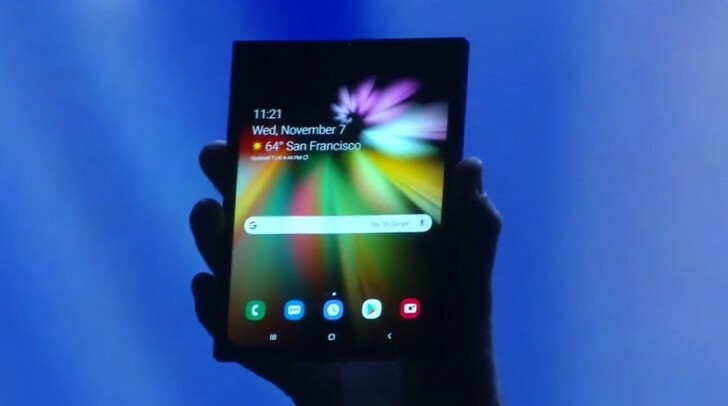 During its annual developers conference (SDC 2018), Samsung just announced its Infinity Flex Display and a so-called One UI that makes company's foldable phones more usable but will also arrive on non-foldable devices (so the name Samsung Experience is going to be retired, it seems). It then talked about the scalability of Bixby and how the virtual assistant would grow in the future and eventually reach a broader range of Samsung and non-Samsung products. But let's talk about the interesting stuff first, hence the Infinity Flex Display. As expected, Samsung didn't announce a fully working flexible smartphone here but instead showcased its ready, elastic OLED panel that's going to be the centerpiece feature of its future foldable Galaxy phone. The display folds vertically so that the user can enjoy large-screen content without sacrificing portability. When opened, you get a 7.3" viewing area. And here's where the One UI comes into play. 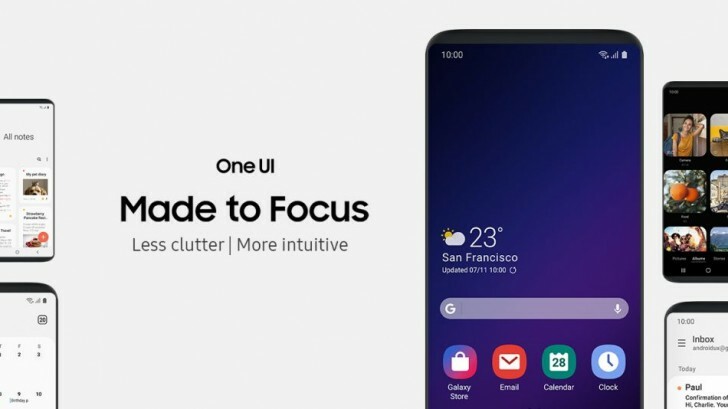 Samsung has worked closely with Google and Android developers to design a UI that's minimalist and keeps the relevant content on the bottom half of the screen ensuring easy one-handed operation at all times. But at the same time, the new UI optimizes the screen area for better productivity on the go as well. As you unfold the phone, the UI seamlessly transitions into an almost tablet-like device giving you more freedom to multitask. Samsung says that the One UI can keep three apps open at once making the most out of the big foldable panel. 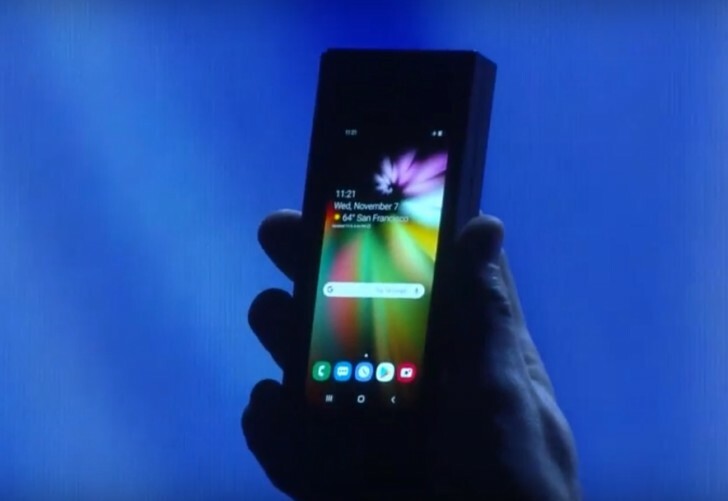 There's no word on when exactly the foldable Galaxy smartphone will come out but on stage, we heard the company is gearing up to start mass production in the coming months. It's not going to be an easy task to accomplish, mass producing such a device, if you consider how much of a technical challenge creating the Infinity Flex Display itself has been. Samsung had to replace glass with a new protective layer, an advanced composite polymer that's both flexible and tough. This was invented by the company for this purpose. An additional challenge is inherent in the fact that the Infinity Flex Display will be folded and unfolded hundreds of thousands of times throughout the lifespan of the handset. That needs to not induce any degradation. For this Samsung made a malleable, foldable adhesive that keeps all the components securely stuck together while enabling them to flex. The final and biggest challenge Samsung faced is that the Infinity Flex had to be thinner than any other mobile display it's ever produced. It made it so by reducing the thickness of the polarizer, creating an entirely new one that is 45% thinner. In the future, Samsung wants to bring the world rollable and even stretchable displays, along with in-folding and out-folding ones. On another note, Samsung also said a few words about its Bixby platform and its future. In essence, the controversial virtual assistant will become more useful and helpful thanks to Samsung opening up third-party app development for Bixby. 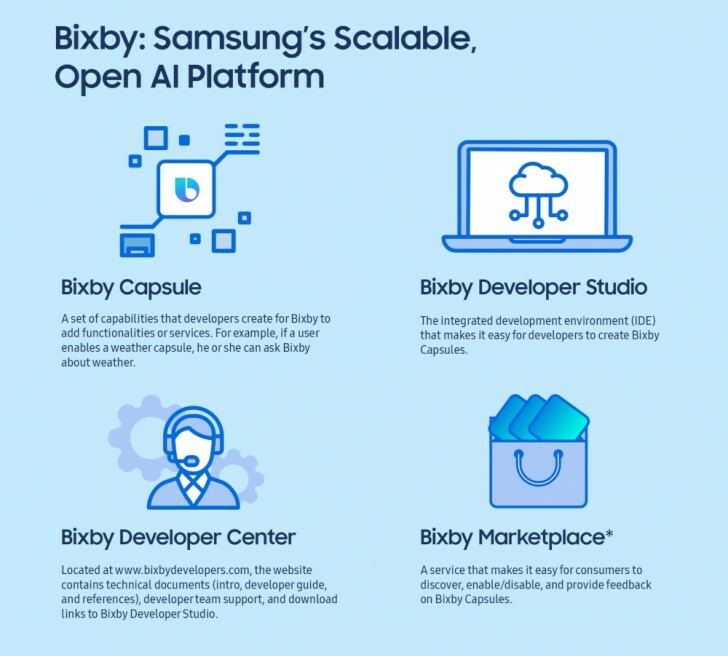 The so-called Bixby Developer Studio should help developers integrate Bixby into more products and services while the Bixby Capsules are selections of services or features for Bixby making them easily accessible for consumers to find in the Bixby Marketplace. The whole platform would help developers adapt their capsules to work not only with smartphones but with TVs, speakers and other home appliances part of the Samsung ecosystem. Bixby will also receive an update expanding its support for more languages - British English, French, German, Italian and Spanish.